In 2017 there were 90 launches of orbital rockets. Below you will find some statistics summarizing the last 12 months and at the end there is a compilation of all these launches. Statistics take UTC time into account. Most flights (18) were made by the Falcon 9 rocket. 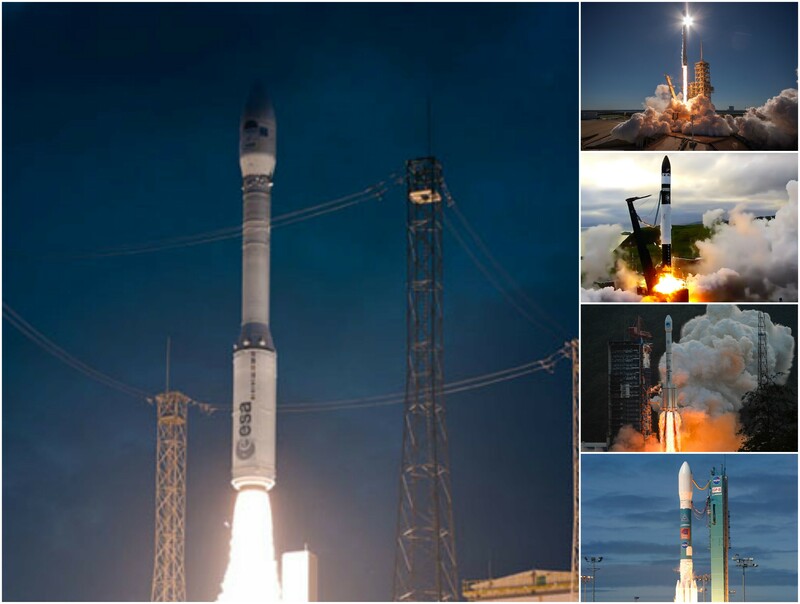 The highest number of launches (13) took place in June and the lowest number (4) in February, April and July. SS-520 – contact with the rocket was lost just 20 seconds into the flight on January 14th. Electron – the launch on 25 May was terminated due to malfunctioning of the telemetry transmission device. Long March 5 – the second stage of the rocket was unable to place the payload in orbit during the launch on 2 July due to too high pressure in the engine. PSLV-XL – during the flight on August 31st the payload fairing was not jettisoned, which prevented the satellite from being released. Soyuz-2.1b / Fregat-M – during the launch on 28 November, incorrect data were entered into the computer of the upper stage of the rocket (Fregat-M) which made it impossible to place the payload in orbit. If you've found this post interesting, please consider following our profile @technocracy.